Write happy with quilty pencils! Sharpen your creativity with colorful patchwork pencils! 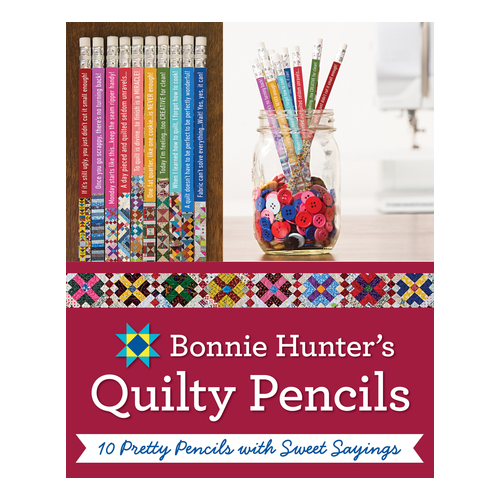 Featuring photos of quilts from best-selling author Bonnie K. Hunter, this 10-pack of pencils is so pretty, you won't want to share. 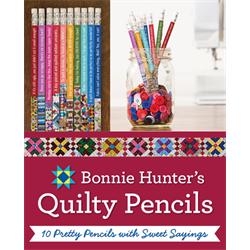 The quotable quilter shares her signature quips on each pencil, with humor that's instantly relatable to creators of all types. Grab this #2 HB graphite pencil set for yourself, your friends, and anyone who could use a smile.